In some cases it is only possible to listen into a room through very small openings that can be used for the insertion of room-monitoring microphones in order to capture the spoken words. For this purpose our PKI 2455 is the right choice to solve such problems. The complete unit comes with a highly sensitive and tiny little rigid microphone plus a pocket-sized amplifier. The electronic unit amplifies the incoming signals and offers a direct listening via headphones (included) or recording on any kind of recorder, whether analogue or digital. VOX-operation i.e. 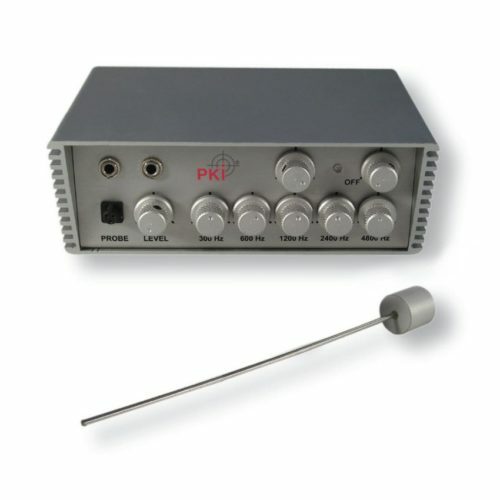 sound-level control of incoming signals is provided for an extensive use of the recorder for a fully automatic operation.